Our newly constructed 1 & 2 bedroom luxury apartment homes at Hilltops are here to inspire a new way of modern living. 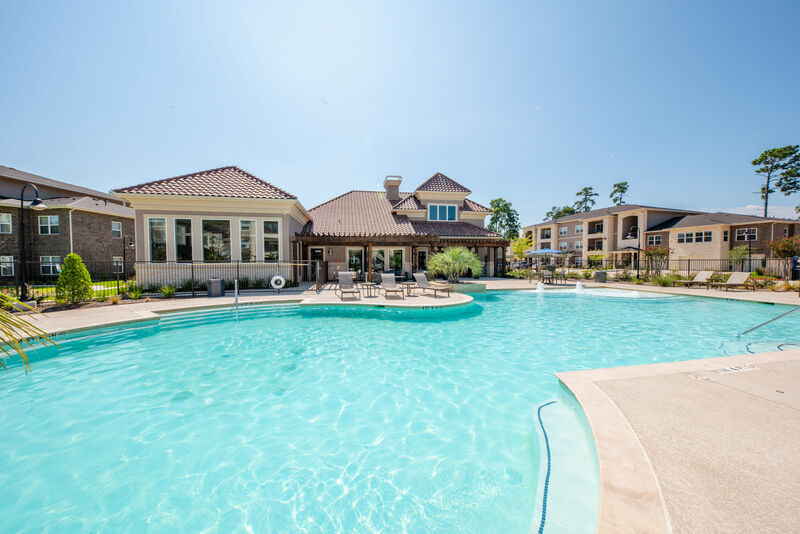 Nestled in the Village Hill neighborhood of Conroe, TX, our pet-friendly homes range from 724 to 1,239 square feet and provide plenty of space for you to settle in and live comfortably. 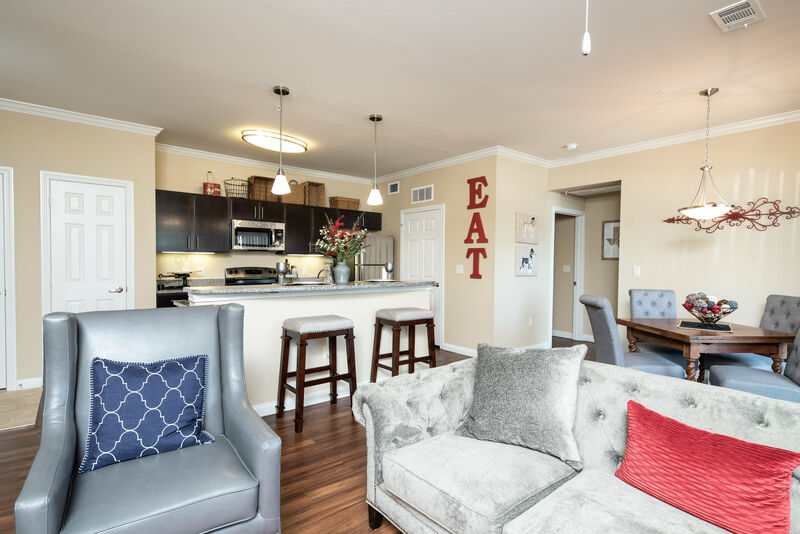 Whether you prefer to live on your own so you can decorate your home to your unique tastes or you’re looking to split the rent with a roommate, Hilltops is the perfect for place to call home. A better way of life is yours when you decide to make Hilltops your next home. As soon as you enter our 1 & 2 bedroom apartments, you’ll notice no detail has been overlooked. Brand-new black or stainless-steel appliances, granite countertops, and designer espresso-wood cabinetry all add style to your modern kitchen, while under-cabinet lighting are perfect for a little late night snack. 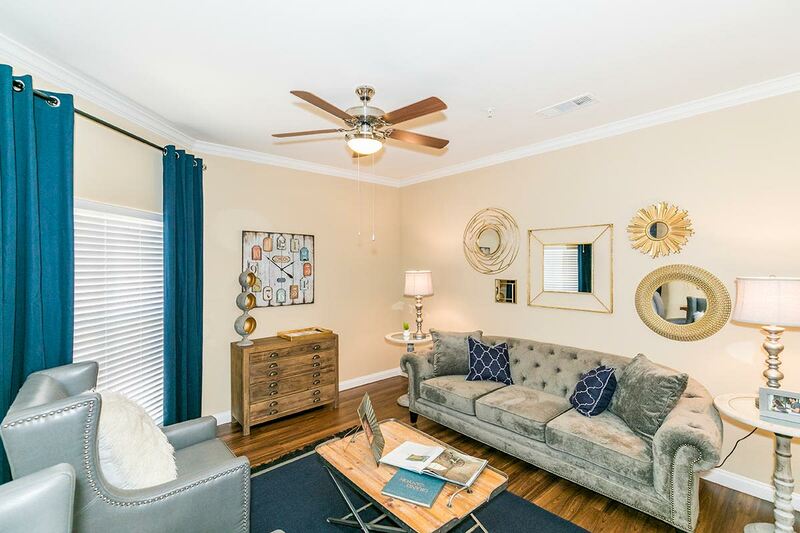 Our extensive floor plans feature dramatic nine-foot ceilings on the first and second floors, and also extend outdoors in select homes to your very own private patio or balcony – perfect for date-night meals al fresco, or starting a container garden right at home. Once you find your favorite floor plan, reach out to our friendly leasing staff to schedule your in-person tour.